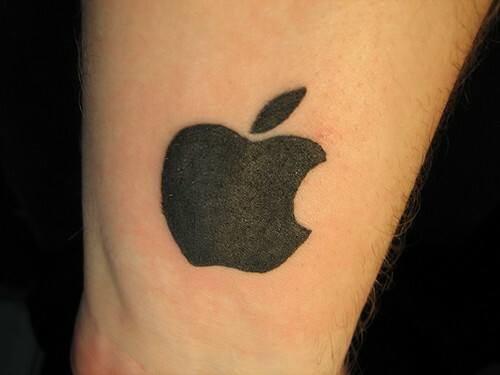 Finally getting my Apple logo tattoo. For those other graphic designers the size of the tattoo is Times New Roman at 115 point type. w00t!